KodeKiddo kiddos have been participating in various competitions and competing against children from all over the worlds. Web.Comp is a web competition for school students that was organized by Grok Learning for students from various countries. It’ll teach you how to build a website as we go along, rather than expecting you to be an expert already. See our blog for the complete story. The Wonder League Robotics Competition started in 2015 and has reached more than 43,000 kids in just a couple of years. This growing network of coding and robotics teams uses our all-inclusive program to inspire an early love of coding, computer science, and tangible learning. Coding is the new team sport for future teach leaders and innovators. Teams of kids ages 6-8, 9-11, and 12-14 will design solutions for real-world science and technology challenges by programming Dash, Dot. 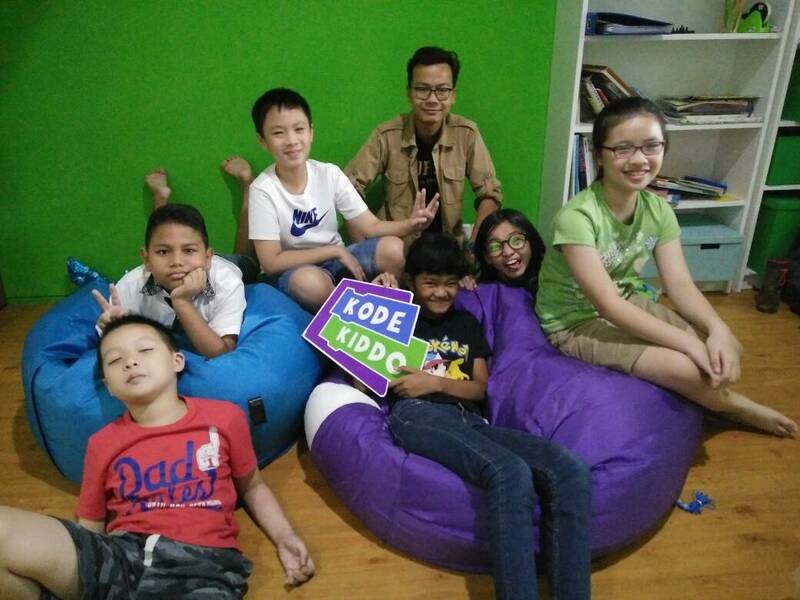 KodeKiddo participated the first time in this competition in 2017 with 8 teams from Gading Serpong, Bandung, and Palo Alto centers. Few of our teams made it through the invitational round and competed for additional challenges. The NCSS Challenge is a programming competition open to all school students from all of the countries. The NCSS Challenge is unlike any other programming competition. We’ll teach you how to program as we go along, rather than expecting you to be an expert already. If you’re a seasoned coder, we have something for you too – the problems range from relatively simple to mind-bendingly hard. KodeKiddo participated in NCSS Challenges in 2017 & 2018. This year (2018) over 65 of our students participated in this competition. 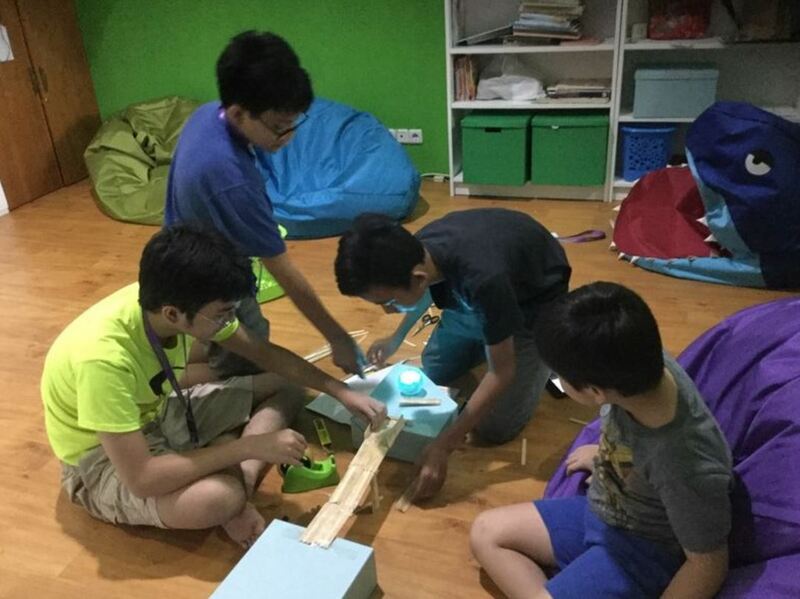 The results of the competition have now been released, and 19 students from KodeKiddo came in at the top of the leaderboard with Perfect Scores! We got a special email recognition from Grok. Congratulations for all the kiddos who made it to the leader board as the top performers. Leader board for Competition Level: Intermediate (Python). Leader board for Competition Level: Beginners (Python). Leader board for Competition Level: Beginners (Blockly). Leader board for Competition Level: Newbie. Hackathon (also known as hackfest) is an event where programmers and other parties involved in software development collaborate to create a software project within a short period of time (usually within 24 hours). Hackathon has been help in various locations, especially for college and high school kids, with the purpose of introducing programming, support collaboration, and a media where companies look for qualified candidate for job openings. Inspired by the hackathon, KodeKiddo held KiddoHack which is a mini hackathon within 5 hours period for children age 9-15 years old. 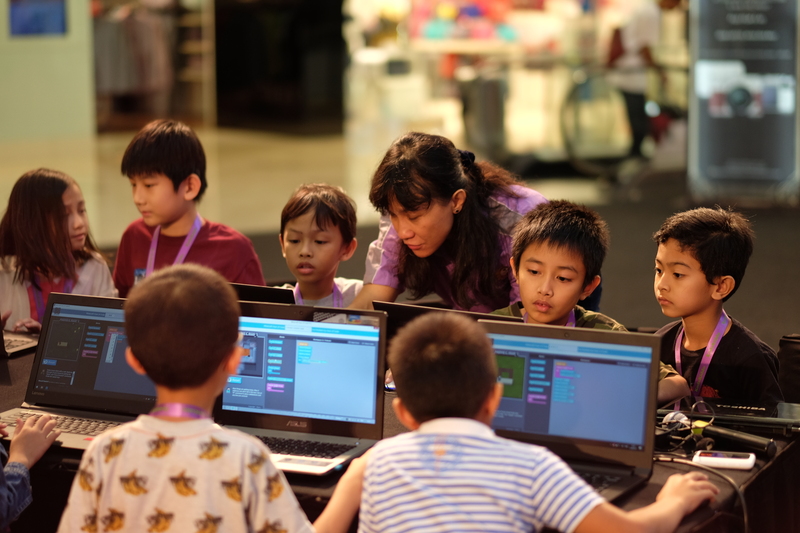 In this event, the kids build a team and learn to work together to come up with an idea, make the design, and program the project with Scratch platform. After the project is completed, the kids presented the results to the judges. 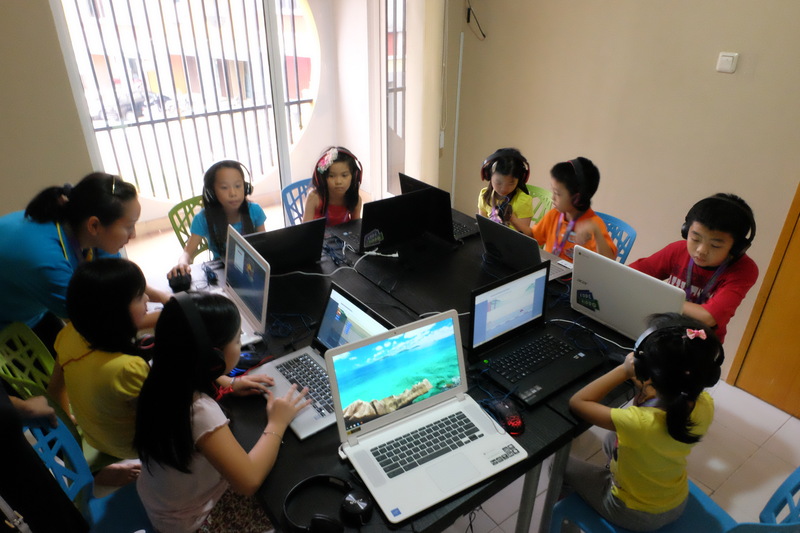 As part of the activity, the kids also worked on solving questions related computational thinking and programming. CodeMonkey’s Code Rush is a online coding competition for teams of students in 3rd to 8th grade. Solve as many CodeMonkey challenges as you can and maybe your team will be one of the 20 lucky teams who will win amazing prizes for their school or library! KodeKiddo teams have been participating in this competition in 2017 and 2018 and reached the top performers. To all kiddos who have joined 2019 Code Rush Coding Competition from CodeMonkey: Great job everyone on your awesome determination and achievements. You are all truly Code Rush Champions. We know the challenges this year were harder than ever and you deserve a round of applause for completing them! Bebras is an international initiative aiming to promote Informatics (Computer Science, or Computing) and computational thinking among school students at all ages. Computational thinking involves using a set of problem-solving skills and techniques that software engineers use to write programs and apps. The Bebras challenge promotes problem solving skills and Informatics concepts including the ability to break down complex tasks into simpler components, algorithm design, pattern recognition, pattern generalization and abstraction. The second week of November is declared as World-Wide BEBRAS week for solving tasks. Starting in 2018, KodeKiddo participated in this competition to allow our students to improve their capabilities in computational thinking. The kiddos did very well!! Check our blog for complete overview. App Jamming is a regional competition for young app developers across Asia Pacific to showcase their talent and creativity with computer programs. This is a platform for talented young developers ages 8 – 16 across Asia compete to become the best App Maker. In 2018, the theme was Sustainability. Few of KodeKiddo kiddos participated in this event and made it through the invitation round and presented their works. In celebration certain occasions such as Indonesian Independence Day and KodeKiddo Anniversary, we held various events and competitions for all of our students. One was using Scratch platform to create projects with Independence Day theme. Another one is called KodeFiesta, which was done throughout the month of October 2017 for KodeKiddo First anniversary. Click the links to go to the blog entries for these competitions.